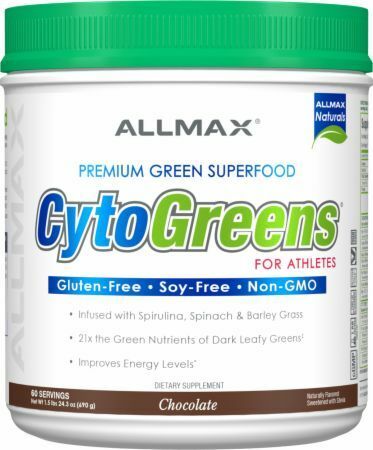 CYTOGREENS represents a revolution in the way you deliver nutrients to your body! 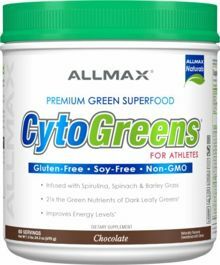 As a truly GREEN formula, 80% of the CYTOGREENS formula is our nutrient-rich, exclusive, Green Performance Matrix, designed to help you achieve optimal physical performance. Lecithin is a common allergen & industrial emulsifier. Lecithin is the #1 Ingredient in leading “greens” supplements, as much as 25% of top “greens” formulas contain this filler. Why pay for non-green, cheap filler? CYTOGREENS has ZERO Lecithin!